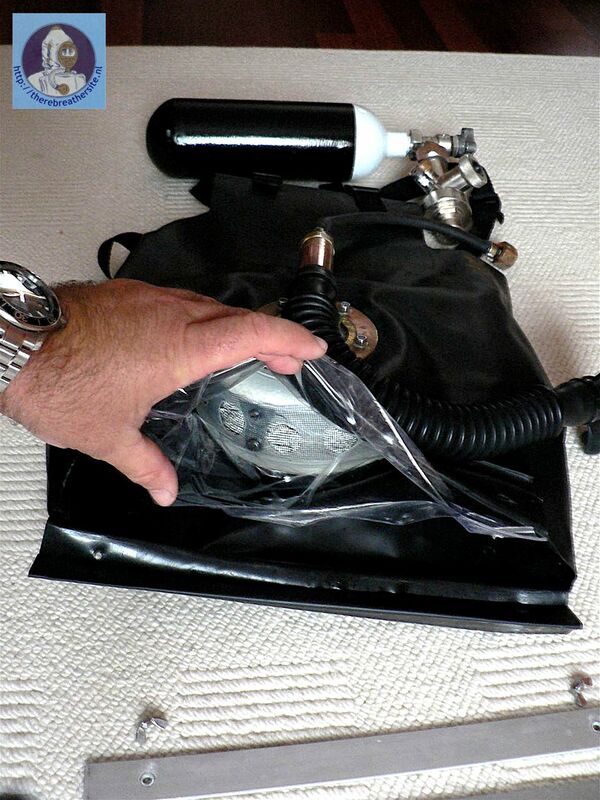 The scrubber is in the counter lung, which is contained in a PVC bag which holds the bottle with the regulator. The counter lung is made of welded transparent PE. 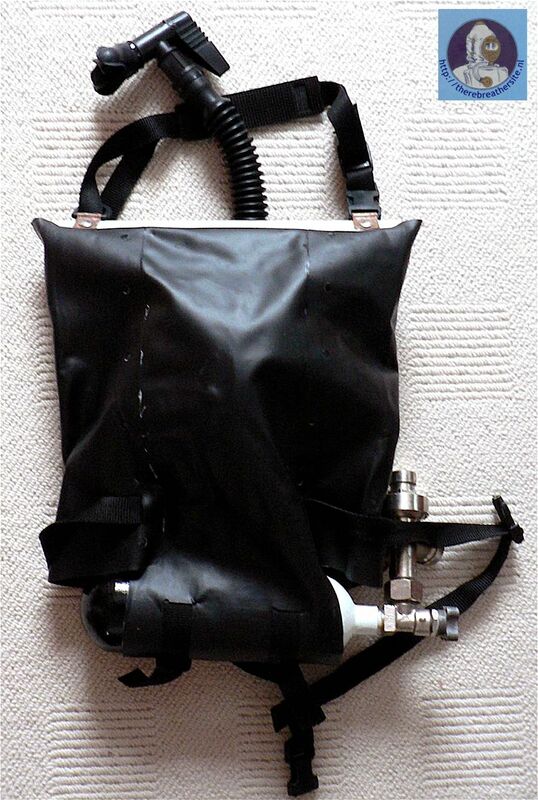 Both bag and counter lung have an opening at the top for accessing the scrubber and for cleaning purposes. 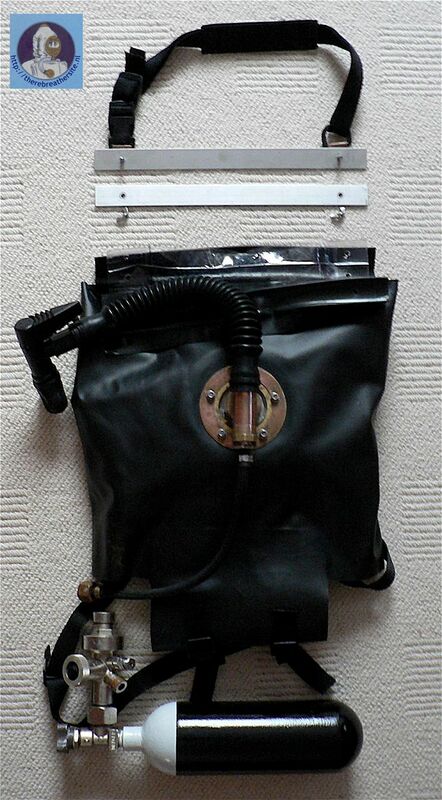 The regulator is the one of the RG-UF/M and it injects the oxygen in the loop, at the "T" that connects the respiration hose with the scrubber. The scrubber is radial. Two belts complete the rig, one to hang it from neck and the other one to fast it to the waist. It is a very nice unit to dive! Jorge, thanks for sharing this information with us! Jorge Yantorno was born in Buenos Aires, Argentina, and grew up at the Atlantic coast, in Mar del Plata. 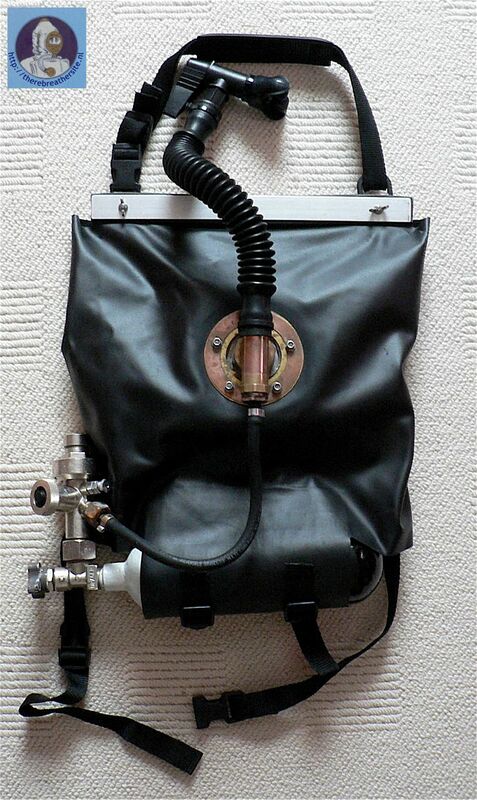 His rebreather is a simple one, a oxygen pendulum rig in "italian style".